And, at Space Cowboy Boots we also offer a one-of-a-kind boot-making experience not found anywhere else in North East USA. When we say custom we mean in fit and style. Everything will be handmade for you, from the carved toe box style to design and fit. We will personally measure your feet and/or get to work creating a uniquely designed boot. Do you have a favorite western boot you want to remake or one you saw in a magazine that you want? No job is too hard for us! 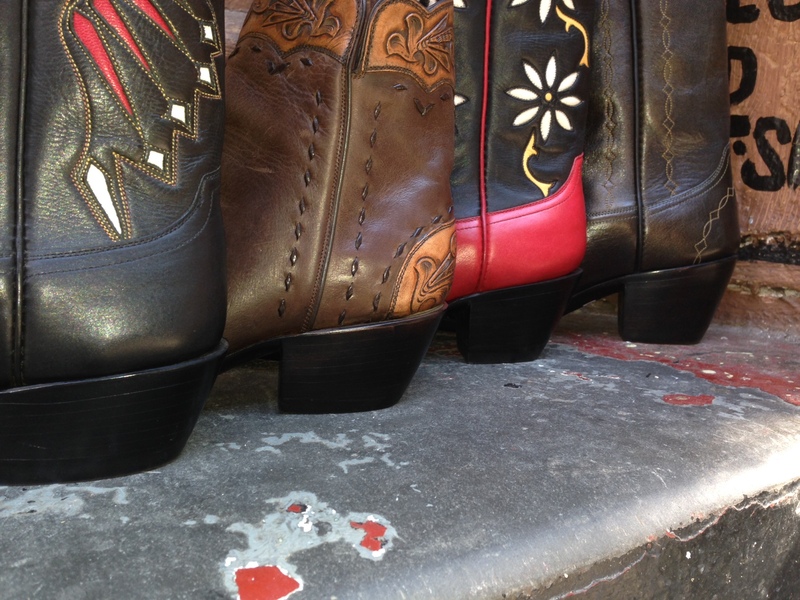 In a matter of time, you will be able to wear you first dream custom boots or add to your boot collection. So that we can give our undivided attention we recommend late morning or evenings, but anytime of day is acceptable. Just schedule it and we'll confirm. Please email us at contact@spacecowboyboots.com and let us know you want custom. We'll send you information and a couple questions to start the ball rolling. Want an appointment at your private residence, office or hotel? We will come to you as well with swatches and sizer boots. Otherwise, come to out store at 234 Mulberry Street, New York, NY, 10012.